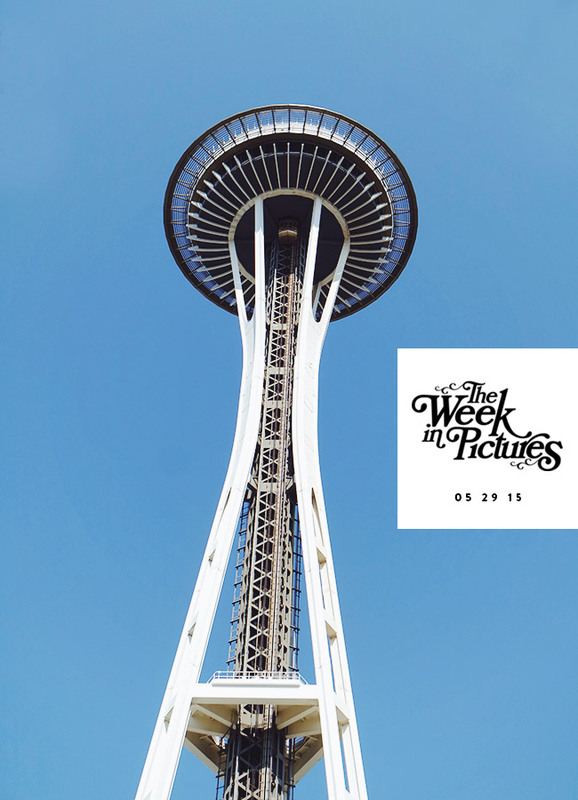 The Week In Pictures: 5.29.15 | Seattle! 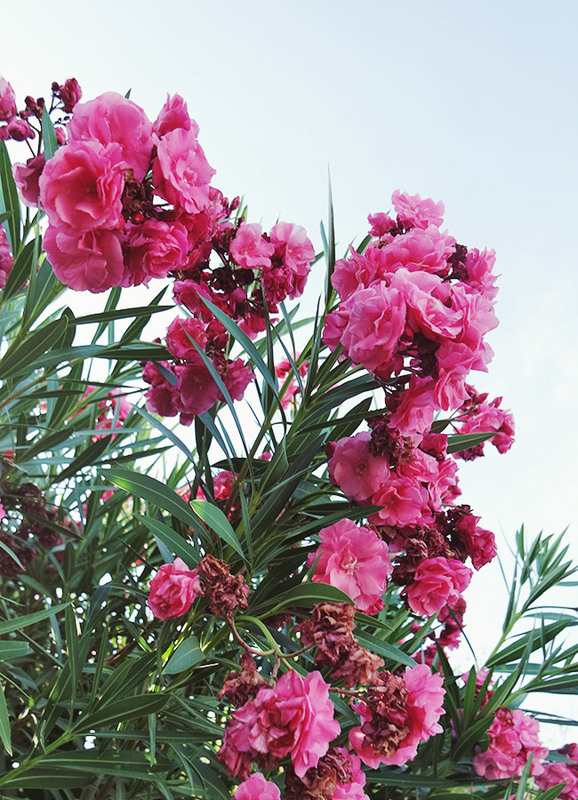 This week blossomed into something completely unexpected but beautiful. 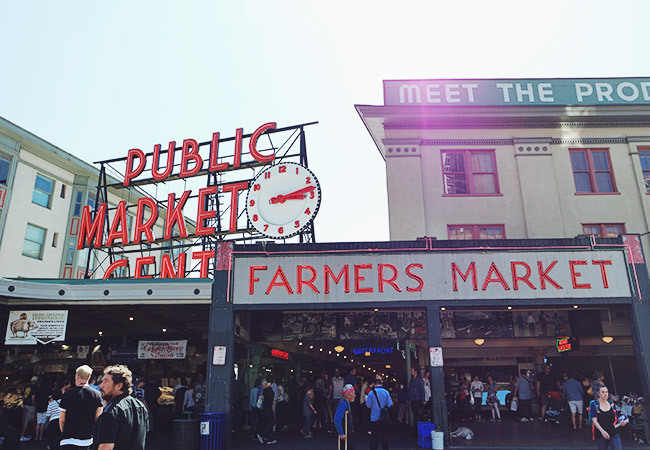 I threw out my to-do list and took a last-minute trip to Seattle to meet up with some clients. 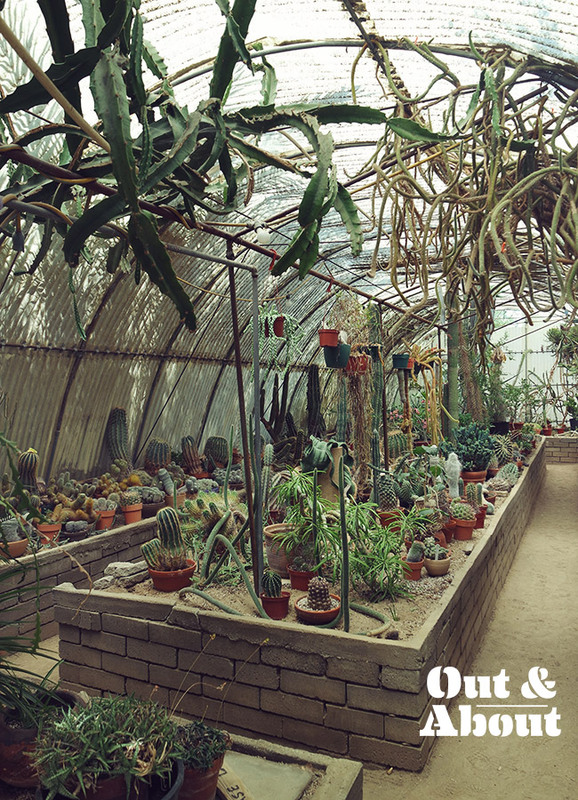 Even though I’d been there at least a dozen times before, it had been a few years since I’d properly explored the city. Joey lived there 10 years before moving to Portland so having a local show me around completely changed my perspective — the little bits of design and architecture I’d never noticed, the smell of the ocean, the adorable cafes and the best design-focused bookstore I’ve ever seen all added to the awesomeness. Walking around the Space Needle every morning instead of my same old neighborhood path was so inspiring — it reminded me of my childhood when we’d visit Seattle every summer and always leave with the best memories. Backing up a bit, over the weekend, my dad took me to a store he’d been raving about for months called Fox Trot Vintage which had amazing stuff at even more amazing prices. 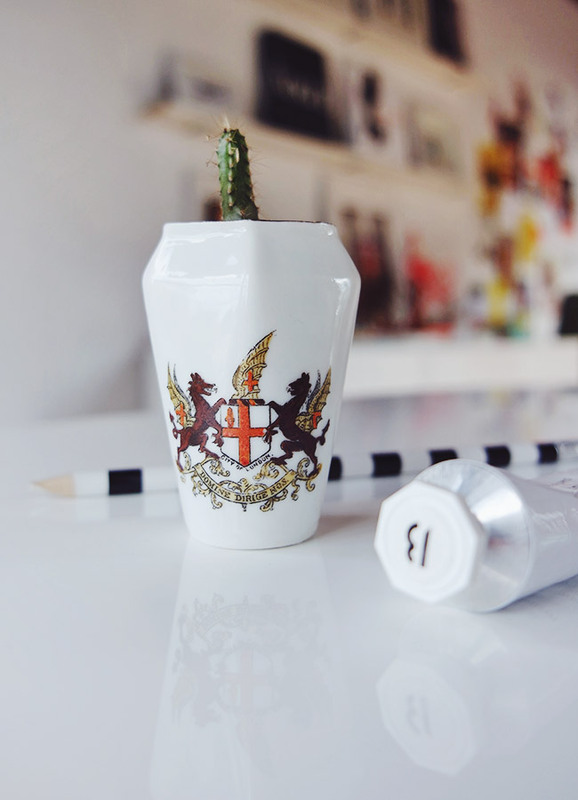 I walked out with this tiny vase that says City Of London which I promptly planted a tiny cactus in. Also, I thought I’d give you a little Chubs update since everyone always asks how he’s doing. He’s still loving his house (completed with front steps!) and eating everything in sight from avocados to Brazil nuts. He’s a big, happy boy. 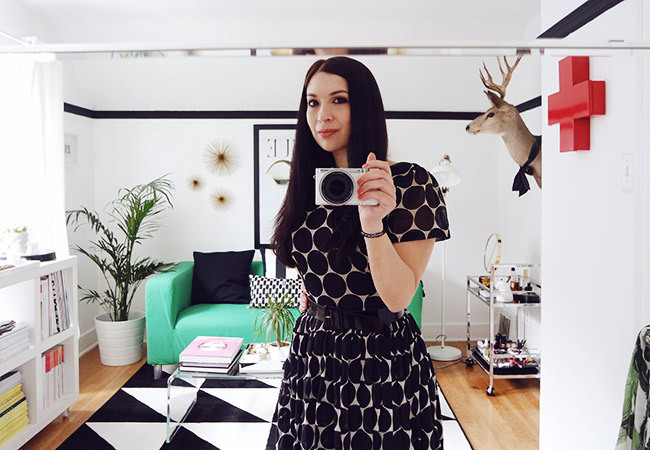 A little selfie action in my favorite room before hitting the road. Ah, Seattle. I missed you. This was a super quick trip (less than 48 hours total!) 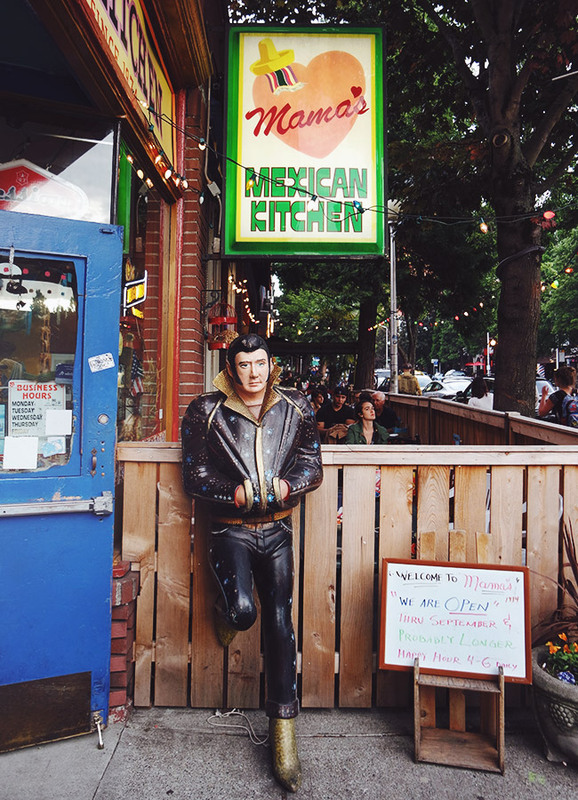 but I squeezed in a few fun things like hanging out at Mama’s which is a well-known restaurant with touches of Elvis decor but sadly, it will be closing down soon. 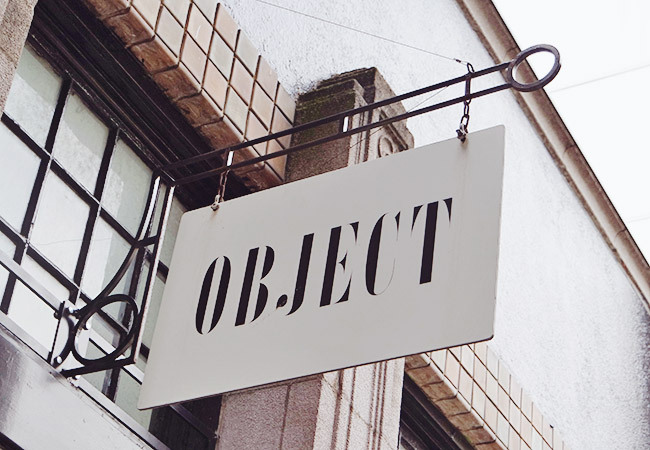 There was so much great typography in Seattle. 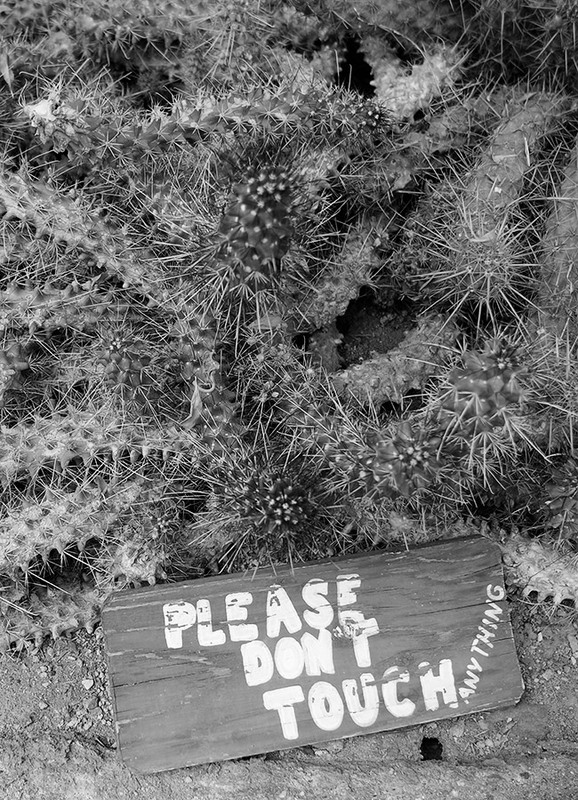 The amount of signs and displays I stopped to photograph was bordering on ridiculous. 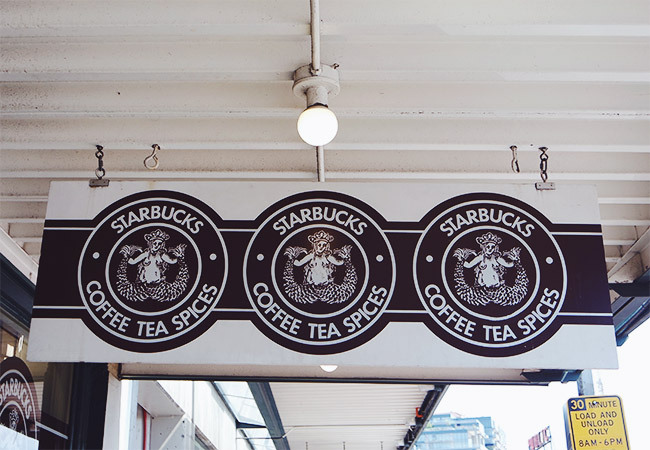 I always walk past the first-ever Starbucks in Pike Place when I’m in town — to me, it’s a reminder that big things can grow out of small, humble beginnings. 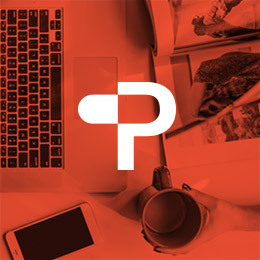 One side effect of having the best clients around — they gift you with things you’ve designed! 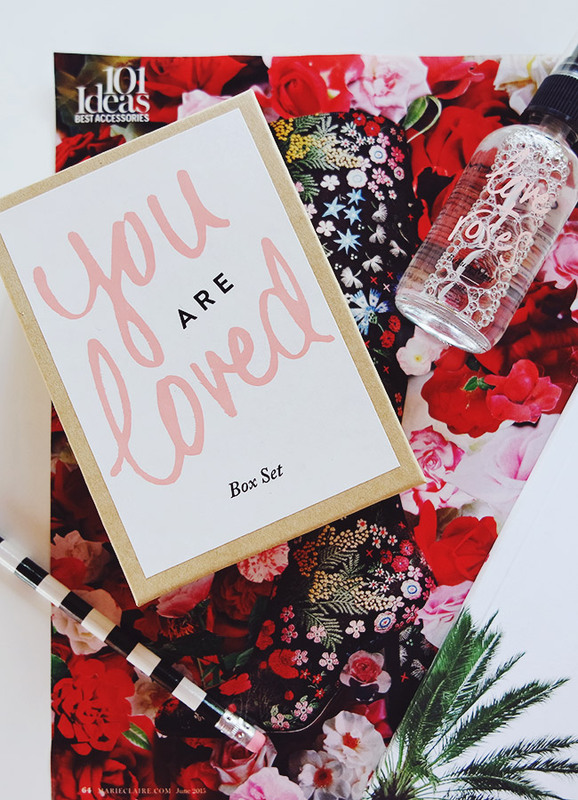 This is the You Are Loved box set Branch did a few months back for Olivine — and you can also find it at Anthropologie. 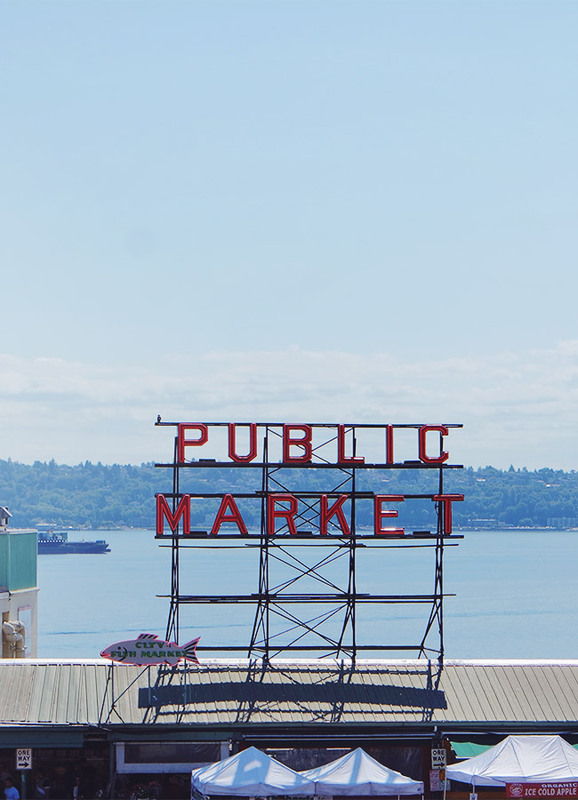 When the opportunity first arose to go to Seattle, I started falling into the old routine of wondering if I should because I was afraid of falling behind with work. And then, I asked myself which was more rewarding: sitting in my office and toiling away or getting up, getting out of my routine and meeting two clients face-to-face while getting inspired by a different city? When I reframed the situation, it became much more clear that shutting down the computer was the way to go. • You’re not lying. It’s just that the truth has changed. • Let the people around you know how much you care about them. It could make their day. 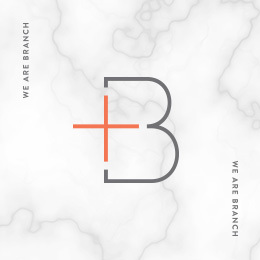 • Ready to write your cover letter? 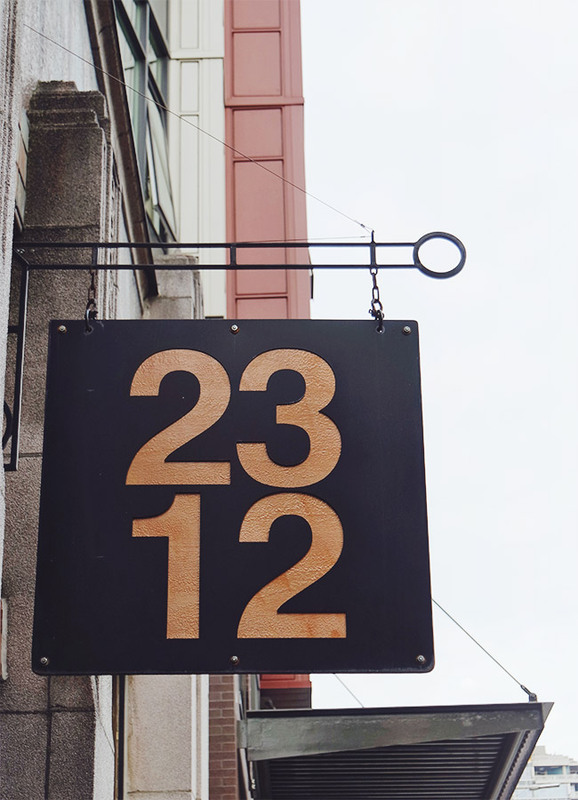 Here are 31 tips you need to know. • Rent in New York City has gotten so high that even Starbucks is feeling the pressure. • When you do something that’s remarkable, not everyone will understand it. That’s okay. 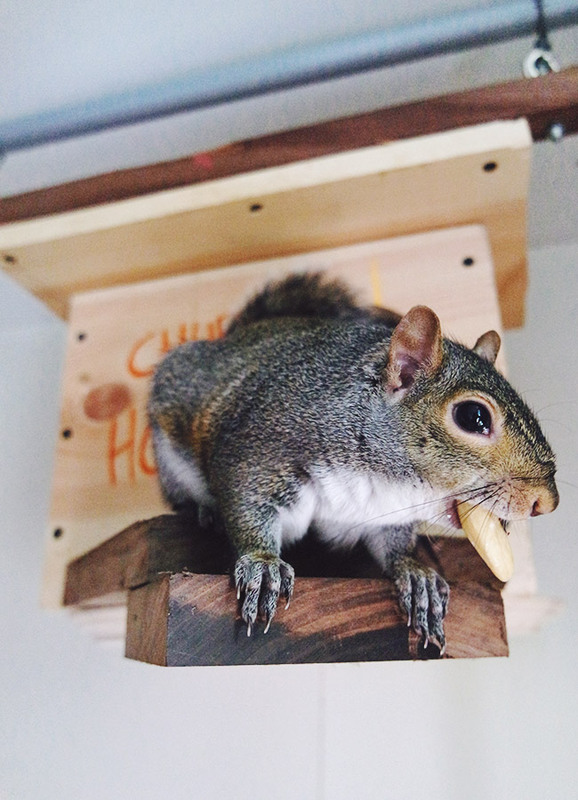 • Vital information: How to get squirrels to use props in a photo shoot! • Why would a well-known designer and developer tell you not to hire him?! Read on for some sound advice. 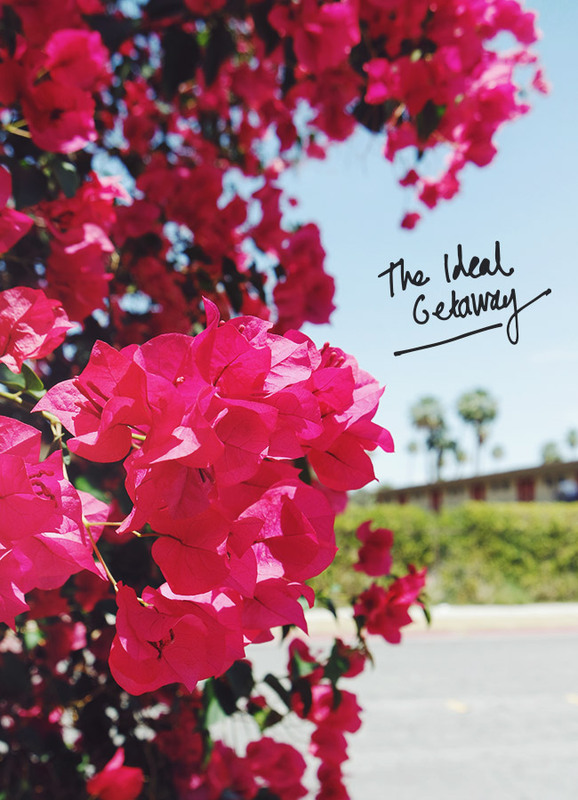 • This project incorporating flowers into the abandoned homes of Detroit is beyond awesome. • Dealing with criticism is never easy but just remember, you’re just doing the best you can. • What’s it like to attend Harvard Business School? • Wondering why it’s still important to attend art school? 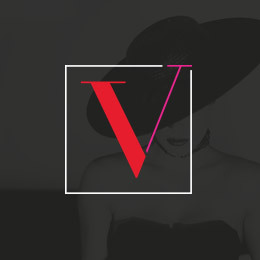 Top creatives share their perspectives. • Remember, trying is always worth it. 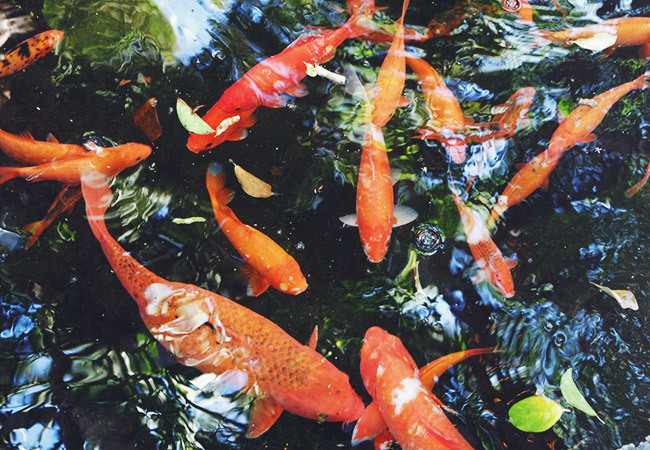 • How can you focus on collaboration instead of feeling like you’re in constant competition? 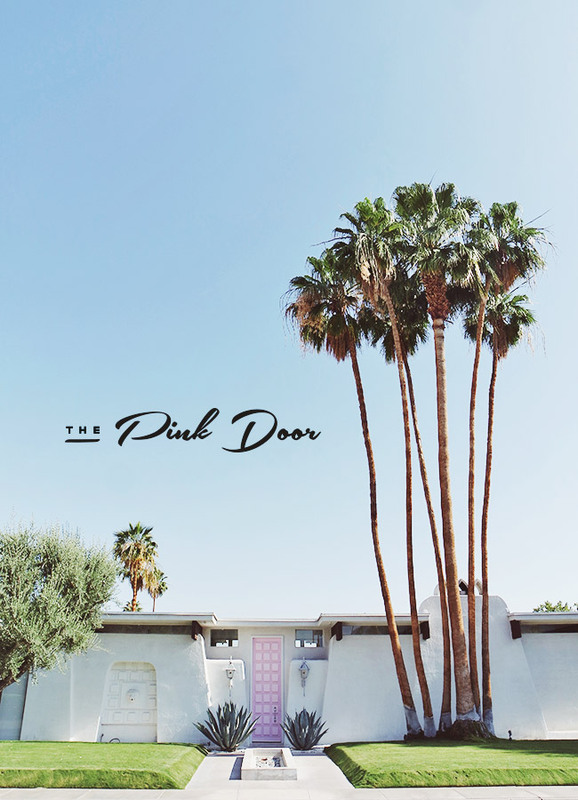 Every time I searched Pinterest for things to do in Palm Springs, I was greeted with a stream of photos of this glam baby pink door. 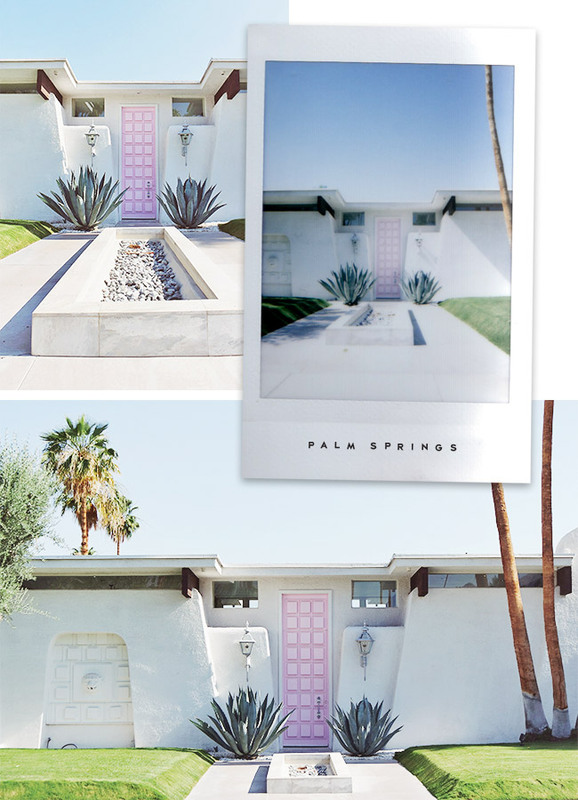 Curious about its popularity, I googled pink door palm springs and quickly learned that it’s the most photographed residential door in the city. 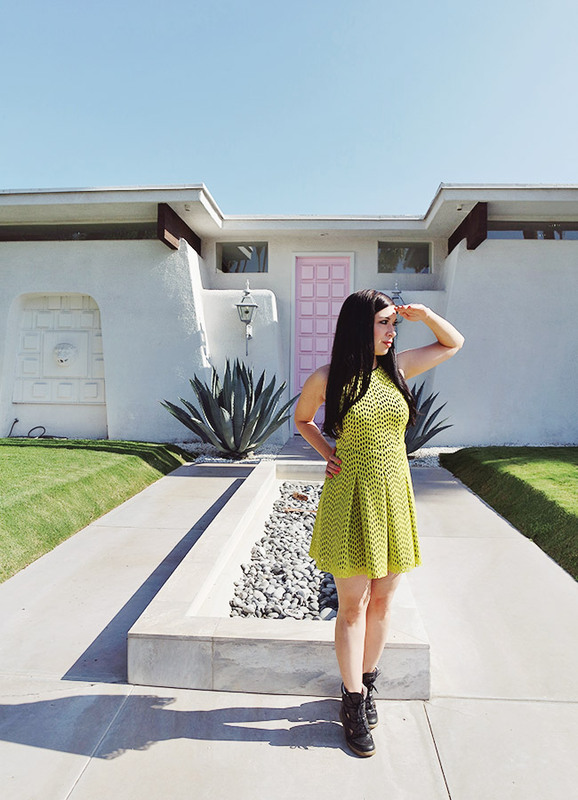 It’s not unusual for mid-century modern homes in Palm Springs to have brightly painted doors — in fact, it’s a trademark. But the predominant hues are yellow, orange and turquoise. Pink? It definitely makes a statement. I knew there had to be a story behind it. It turns out that this famous house is owned by interior designer Moises Esquenazi and perhaps not surprisingly, has been honored as one of the “Best Homes in America” in the 25th Anniversary edition of Metropolitan Home. 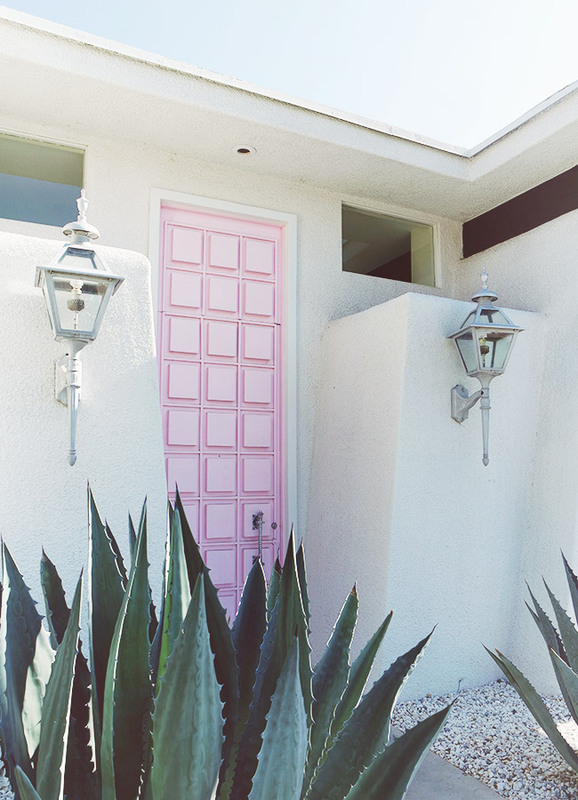 And, if you’re wondering what resides behind those fabulous pink doors (because I definitely was! ), look no further. 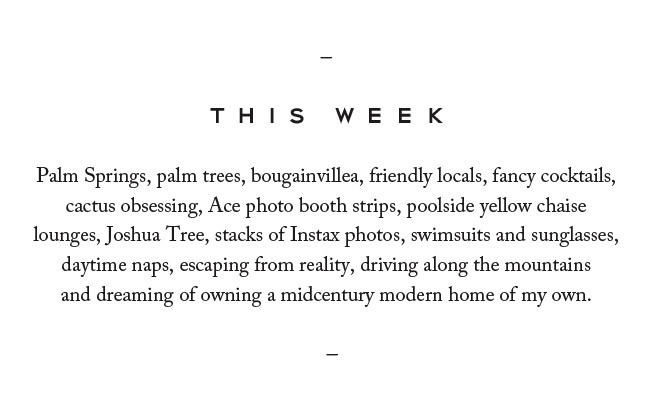 Moises has such amazing taste — this is one house I desperately wish was available on Airbnb! Gotta love someone who isn’t afraid to take chances with their home. I wore: Topshop laser cut dress and Marc Jacobs sneaker wedges. 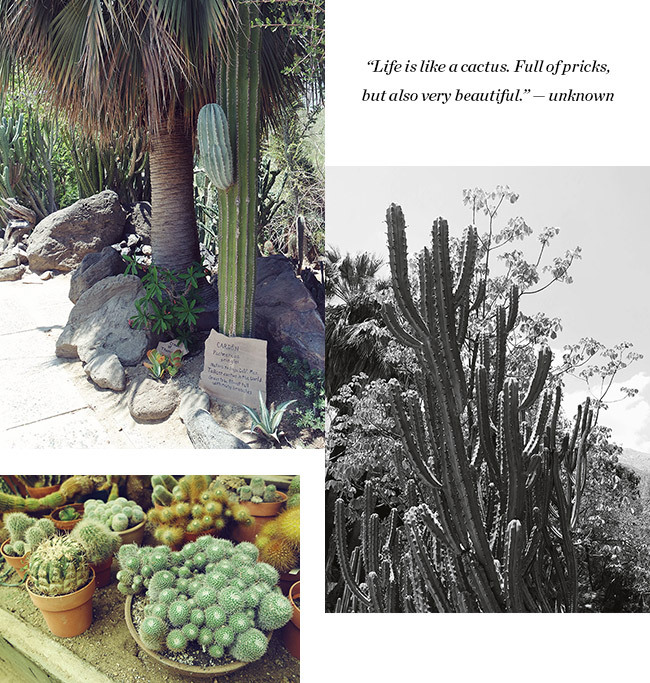 One of the best kept secrets in Palm Springs is Moorten Botanical Garden. 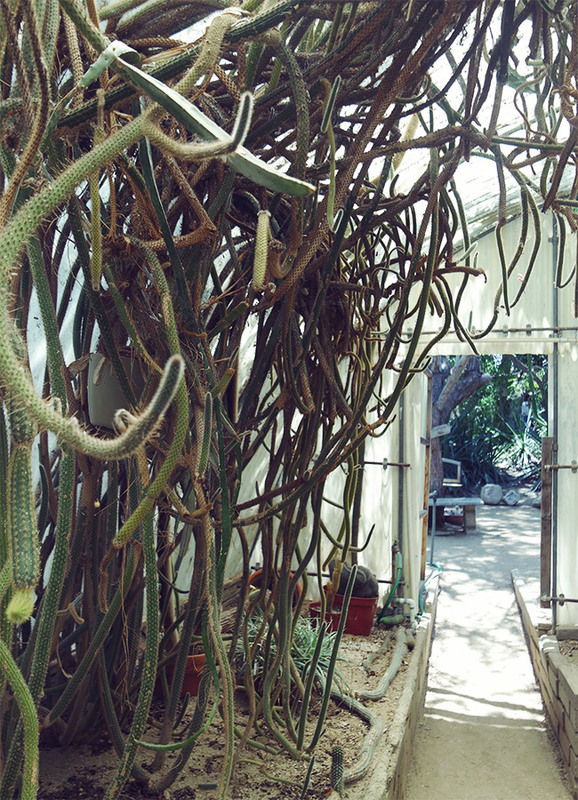 Founded in 1938, it’s since grown into a jungle of sorts, smack dab in the middle of the desert. 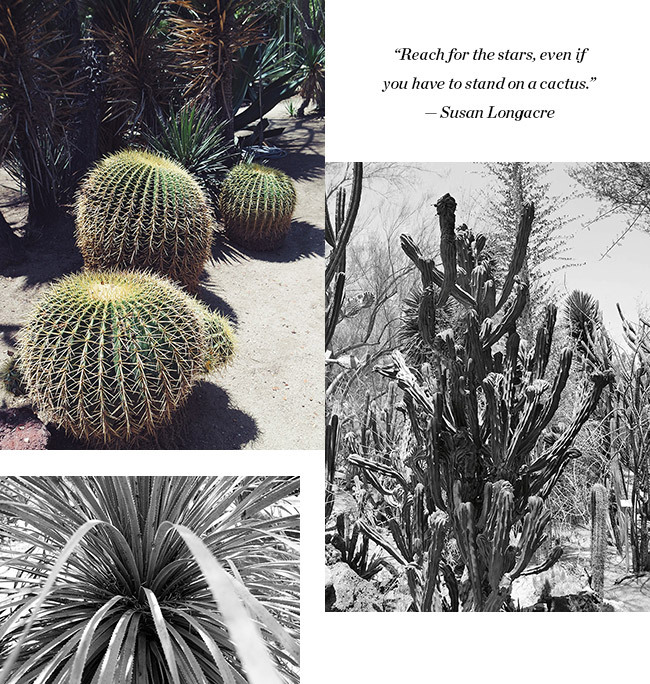 Nicknamed Desertland (hey, cactus-obsessed folks need a place to congregate, too! 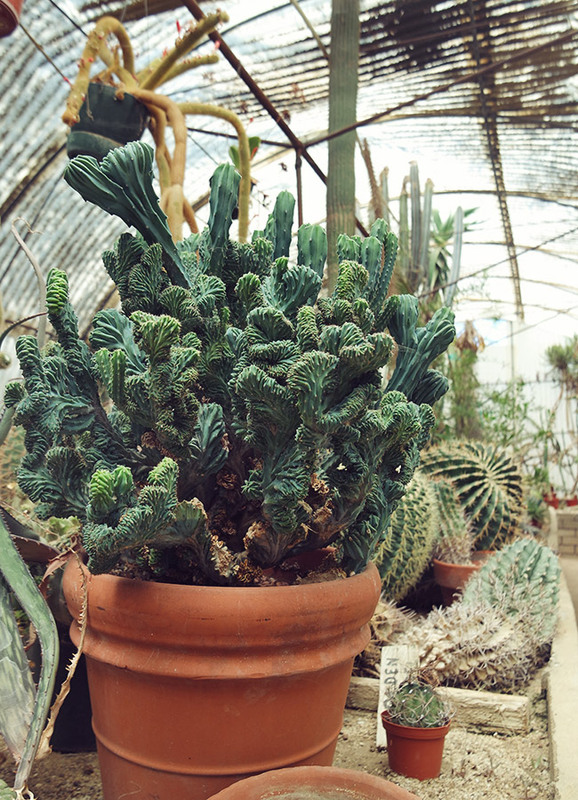 ), this arboretum is a total trip with over 3,000 plant varieties weaving and winding their way through the grounds. 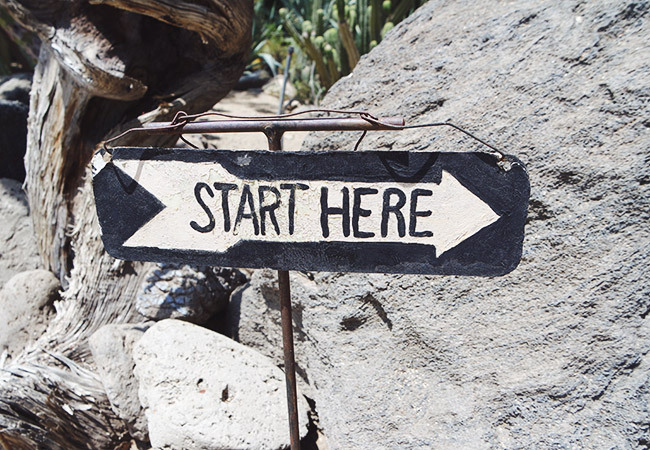 Upon entering Moorten, you pay a $4.00 fee, are handed a map and pointed in the direction of a “start here” sign. Then, the real adventure begins. 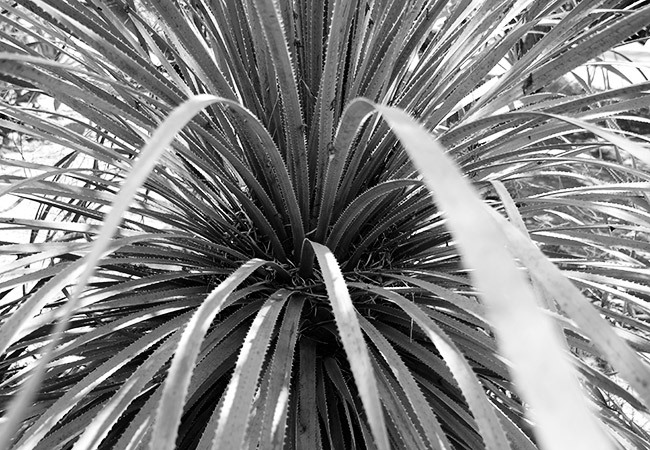 You can go at your own pace, following the trails and reading the handwritten signs calling out plant life from seemingly every corner of the globe. 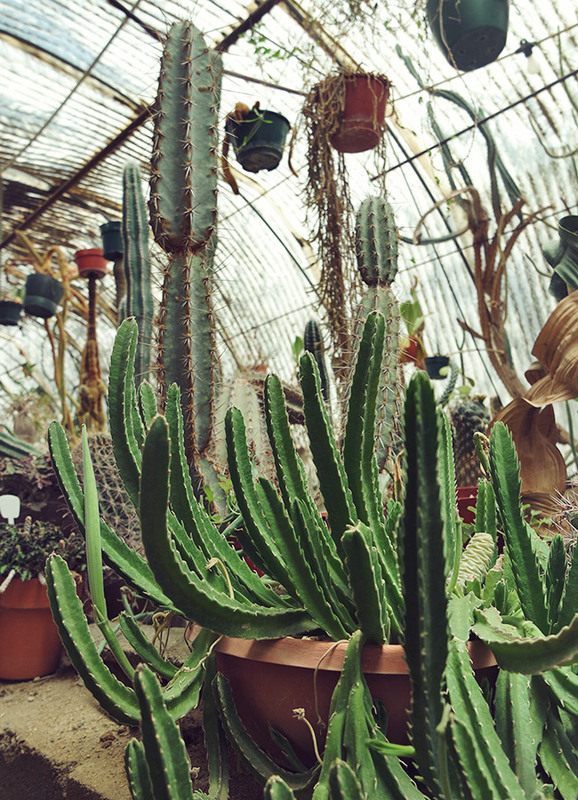 The grounds are beautiful but the real gem of Moorten resides along the very back area — it’s the world’s first cactarium and it’s completely packed to the brim with rare varieties of cacti. 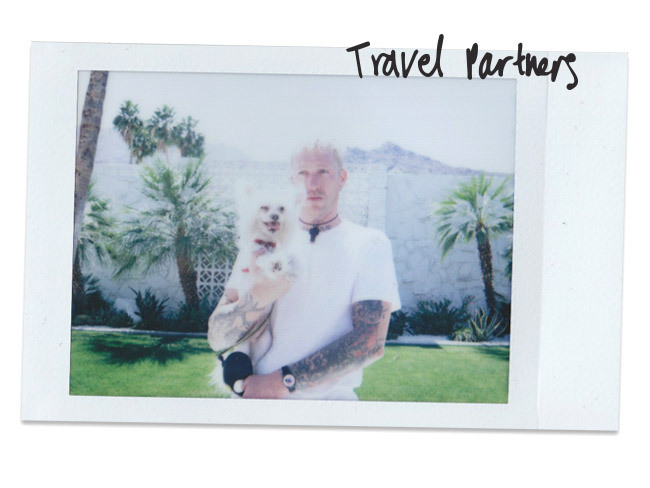 The Week In Pictures: 5.22.15 | Palm Springs! Welcome to The Week in Pictures! As you’ve probably gathered by now, I’m an all-or-nothing kind of person. 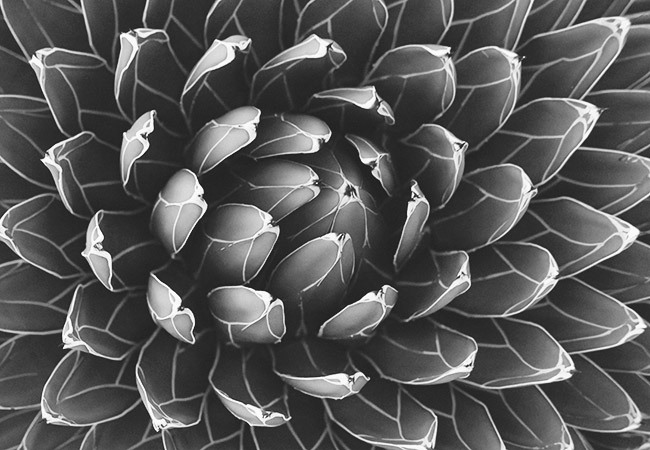 My world is very black and white (literally). And while firing on all cylinders can morph into a lot of energy and excitement, it also tends to result in needing the occasional time-out to refuel. Over the last month, with a plate full of projects wrapping up, my workdays had been stretching onto 2 am some nights. While I’m used to that pace from my past life working at agencies while freelancing on the side, I knew a vacation was necessary. 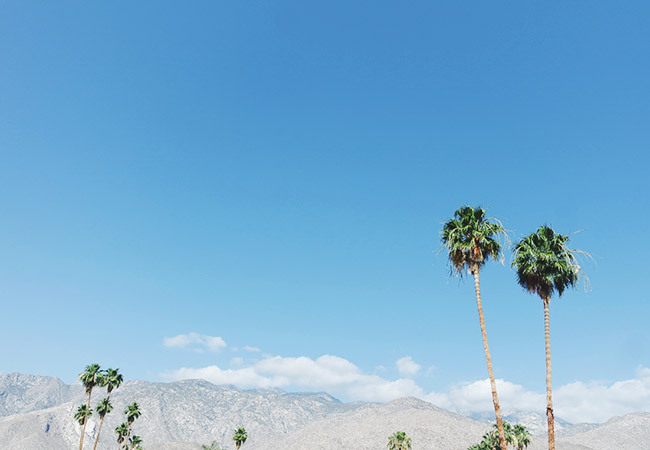 Cue a very last minute booking of flights and hotels in Palm Springs. Joey, Rocky and I flew down to LA at the crack of dawn Saturday morning, grabbed a rental car and hit the road. By 3 pm, we were exploring our favorite midcentury haunts and being reminded why this is the place we want to retire to (as soon as possible). My days started at 6 am with the sun blazing through the hotel window. As I rolled over to answer work emails, I didn’t mind a bit because I knew that within 2 hours, we’d be out the door for another day of exploring. 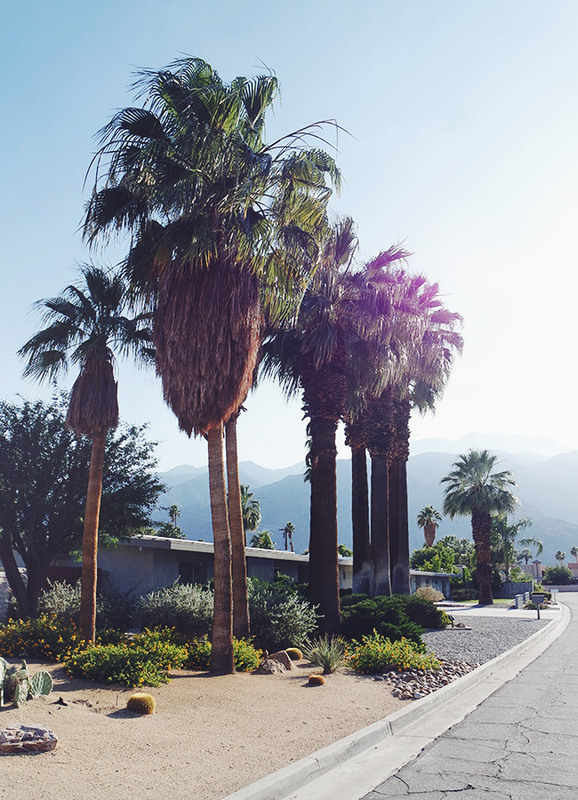 I’ve been to Palm Springs at least 6 times now (maybe more?) but this time was very different. 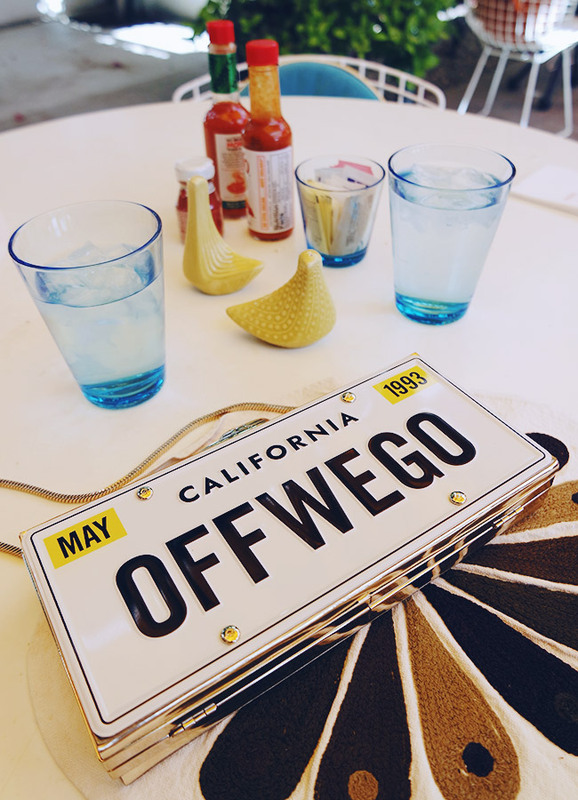 On past trips, I showed up with no plans but this time, I researched city guides and made sure we visited every restaurant, hotel bar, and famous residence (hello, Elvis and Priscilla!) possible. 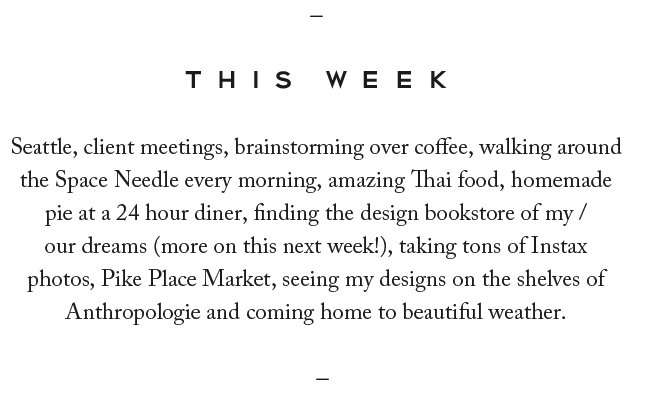 Below is a small snapshot of the trip; I have more detailed posts to share soon. 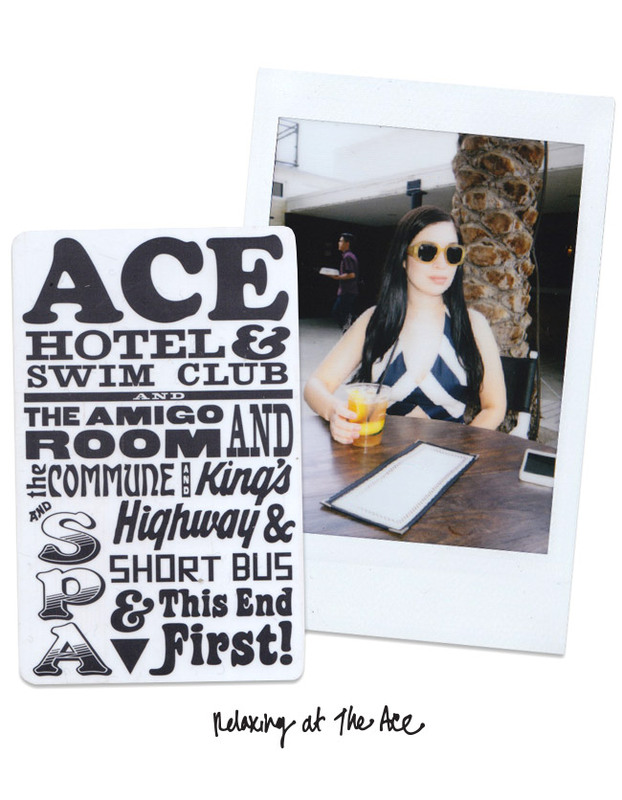 No trip to Palm Springs is complete without a visit to the Ace Hotel. 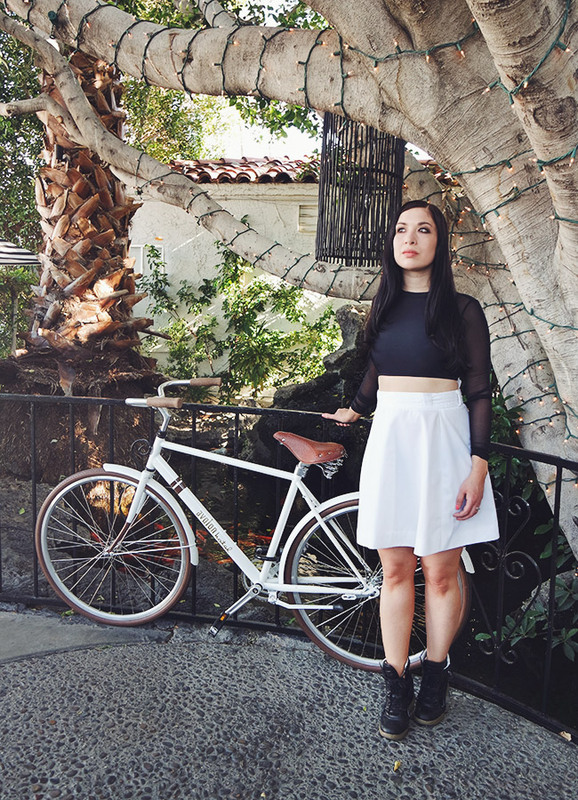 I wore this tank with an old Zara skirt and Marc Jacobs sneaker wedges. 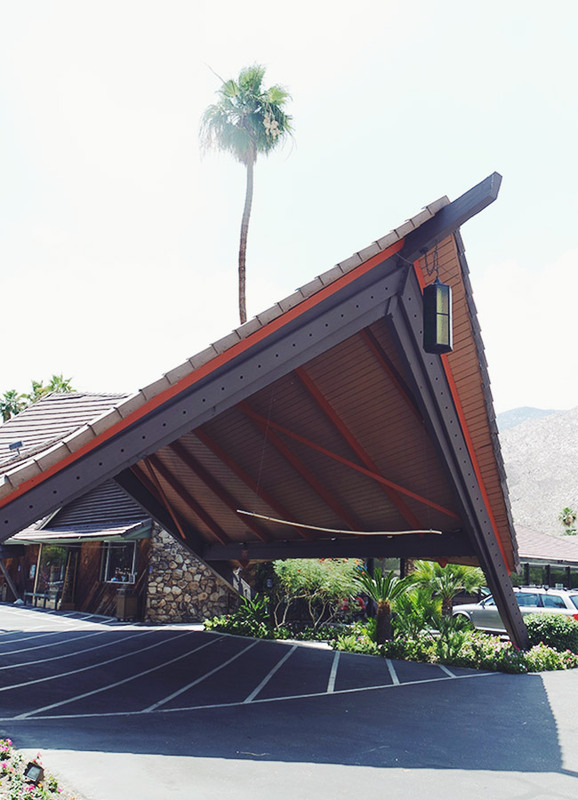 The quintessential Palm Springs scene, don’t you agree? 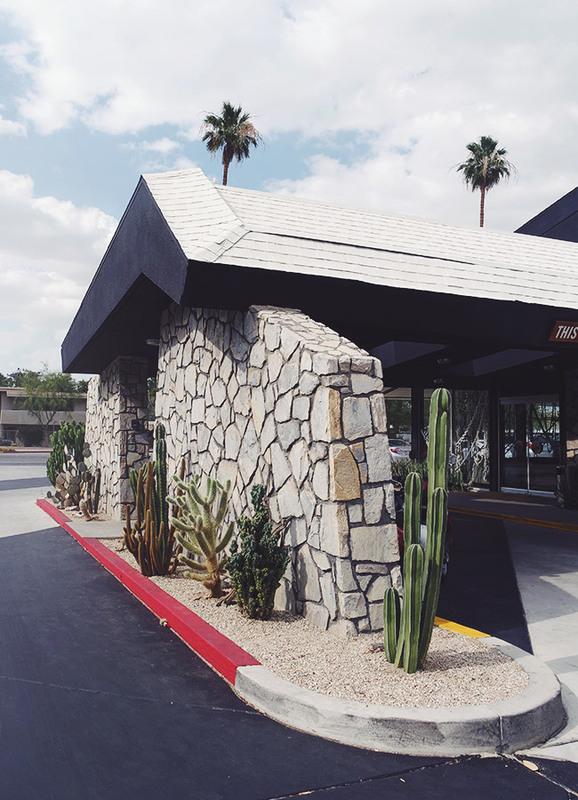 The Caliente Tropics motel is a slice of midcentury modern heaven. 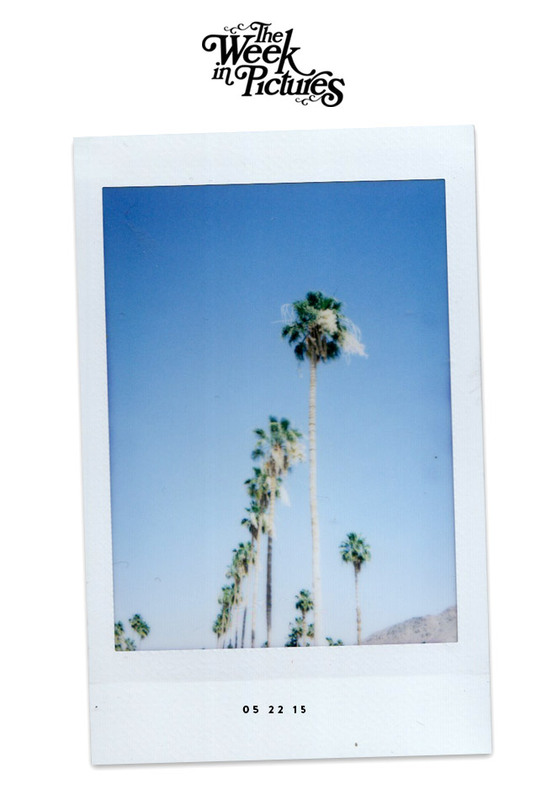 I’m guilty of constantly snapping palm tree photos. Everything looks like it’s out of a movie set. 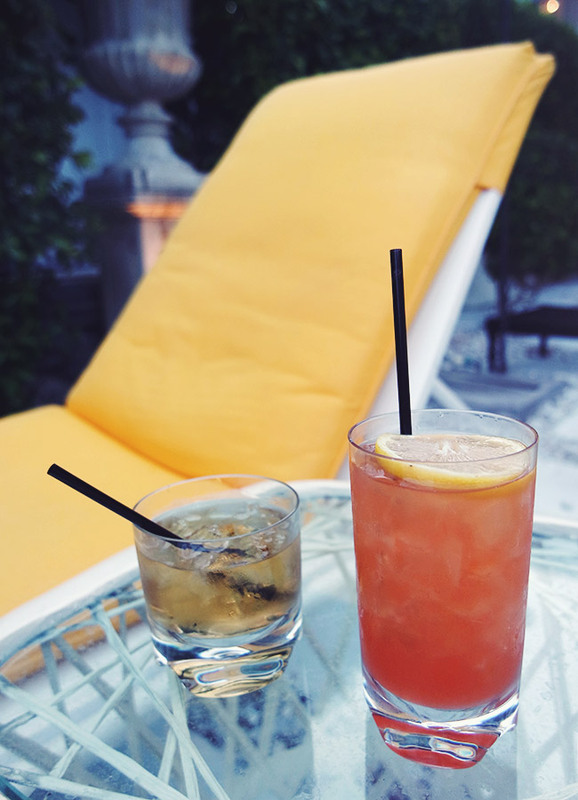 New favorite poolside hangout: The Avalon. Best service, drinks….and they let you take as many photos as you want! 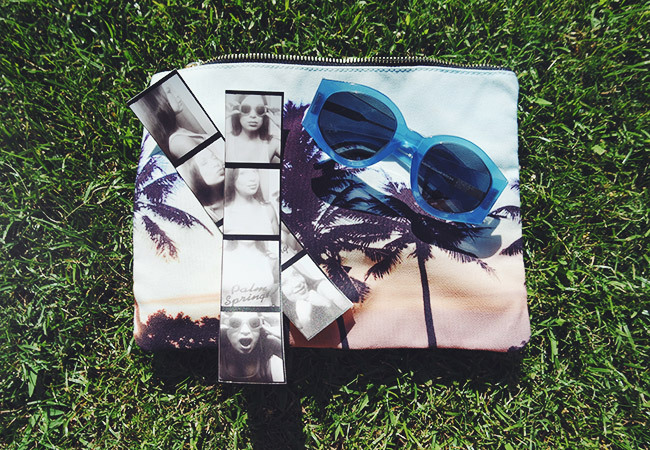 Palm Springs necessities: a palm-covered clutch, Ace photo booth strips and sunglasses. I couldn’t stay away from The Avalon! Their entrance is totally dreamy. 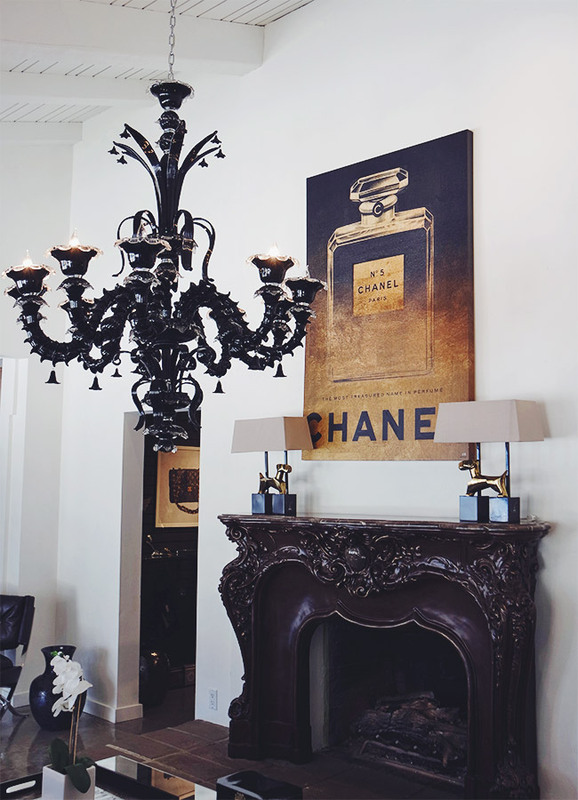 I spotted this artwork at Interior Illusions and had to share. 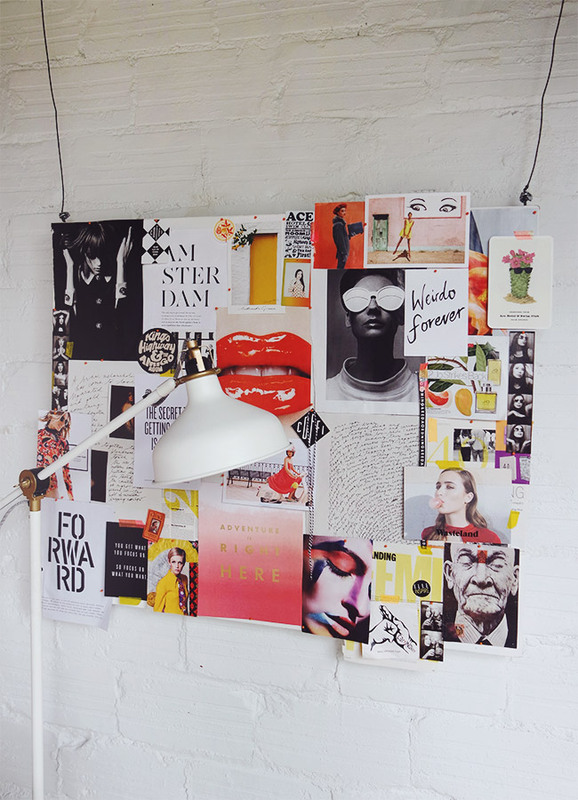 So awesome, right?! 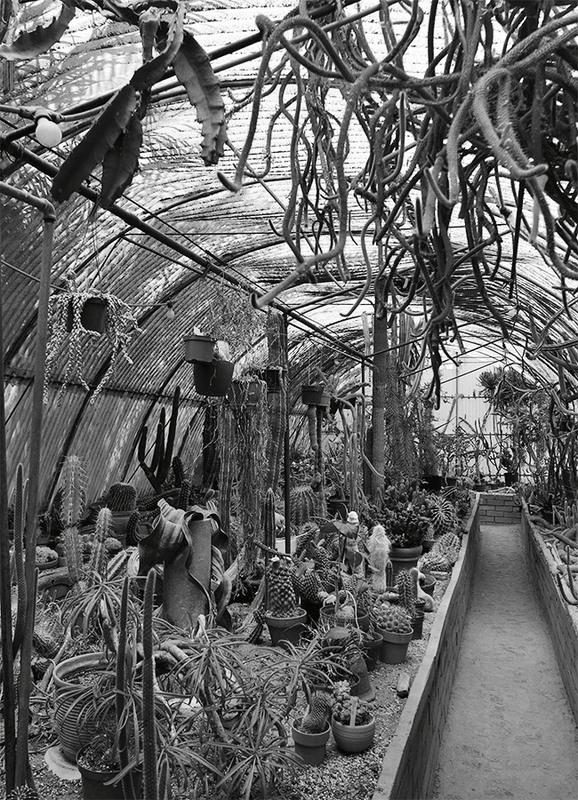 The entire store was a modern, black and white heaven. Beautiful foliage lurks everywhere! 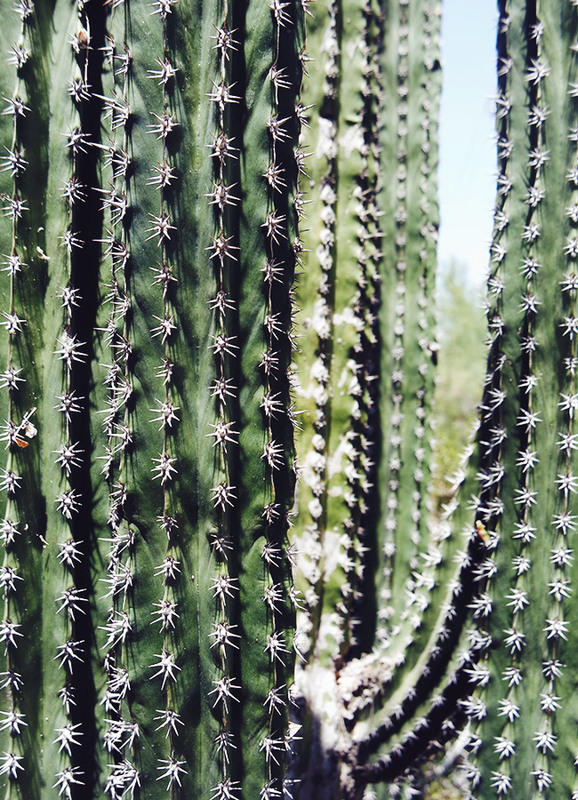 Flowers, cacti, palm trees…it’s hard not to take a photo every 10 feet as you walk down the street. 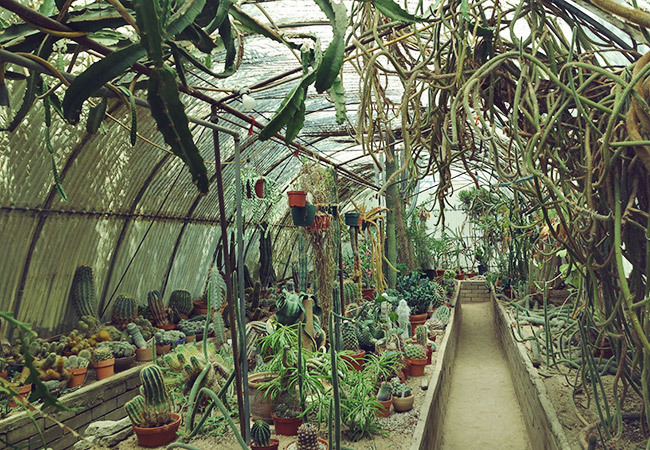 On this trip, I vowed to take as many real photos as possible and packed along my Fuji Instax . 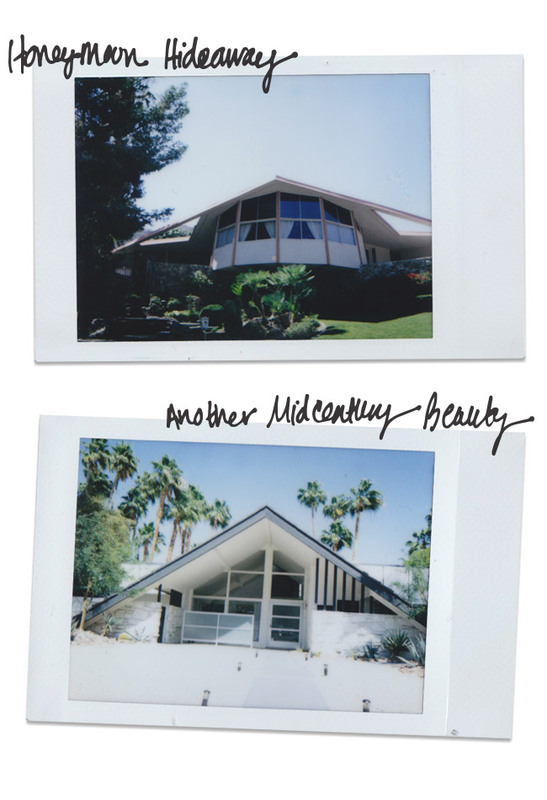 These are some midcentury modern beauties I fell in love with. The top photo is of the famous Honeymoon Hideaway. 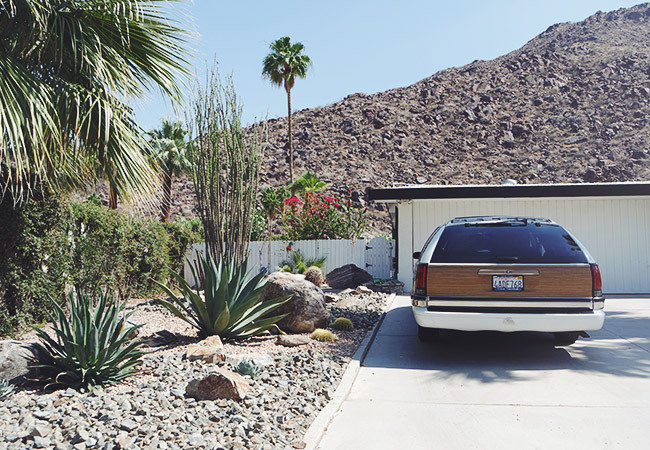 The car game is strong in Palm Springs. 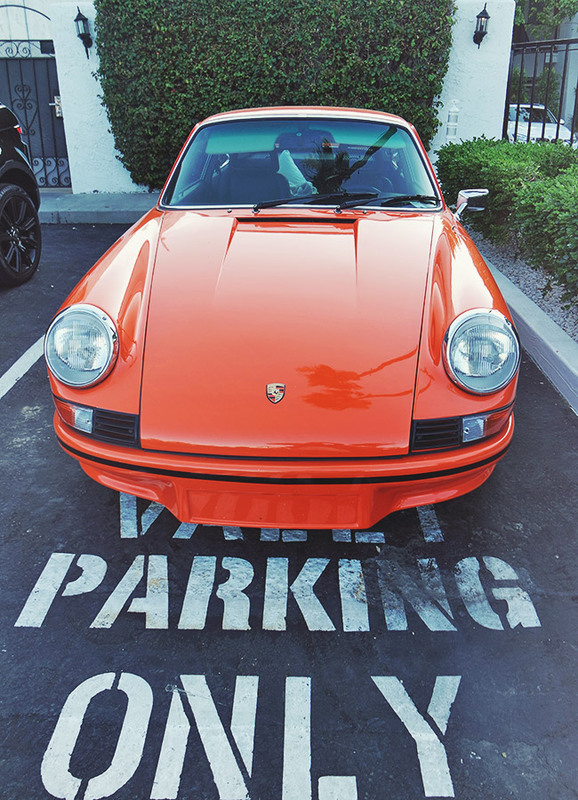 An orange Porsche? Yes, please.